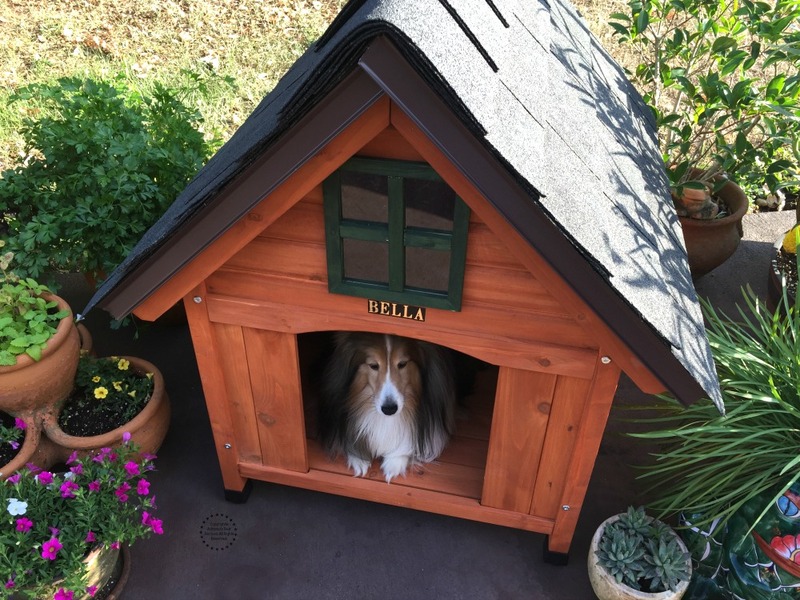 Same as we craft the best recipes we also built the best dog house for the most pampered of the family: Bella. 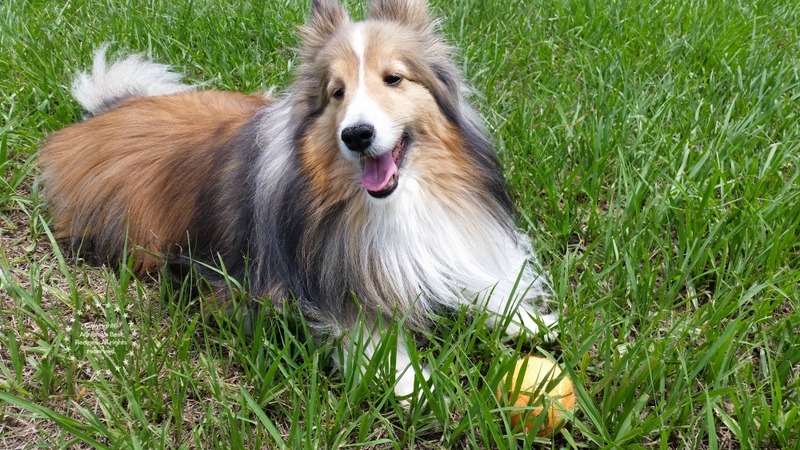 Our sheltie dog and the official cat herder of the Martin household. Bella is my best friend, kitchen companion and the apple of my eyes. She enjoys to spend her day near me, and when gardening and doing chores she is there watching every move. While in the garden I realized Bella doesn’t have a safe shelter from the sun. And thought would be good to build her a special place and make this a DIY family project involving my husband and my grandson. 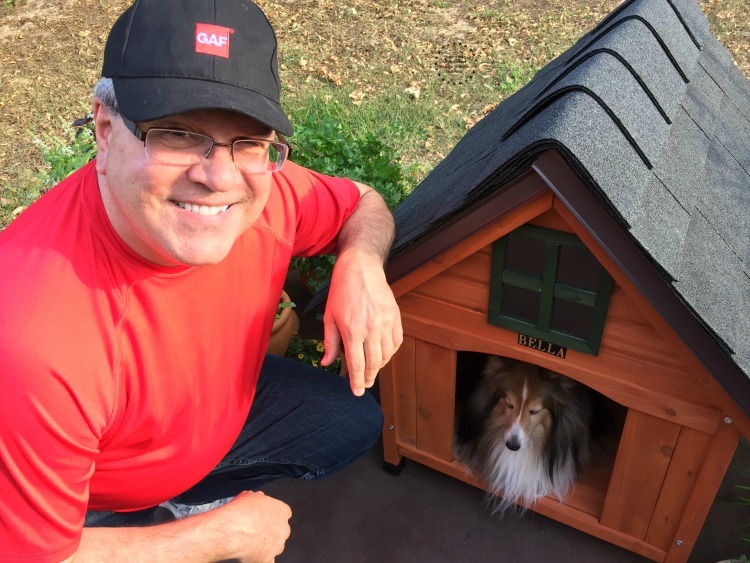 When planning for this project, we took into consideration the dog house would have to be resistant to the Florida weather, comfortable, and serve as a decorative fixture adding personality to our backyard. And that is how the search for the best dog house started. Building the best dog house is no monkey business. My husband and I always want the best quality and same as we did with our own house, we chose the best materials to build Bella’s new home. We both love cedar wood because it is great to use in the outdoors and has a nice scent. 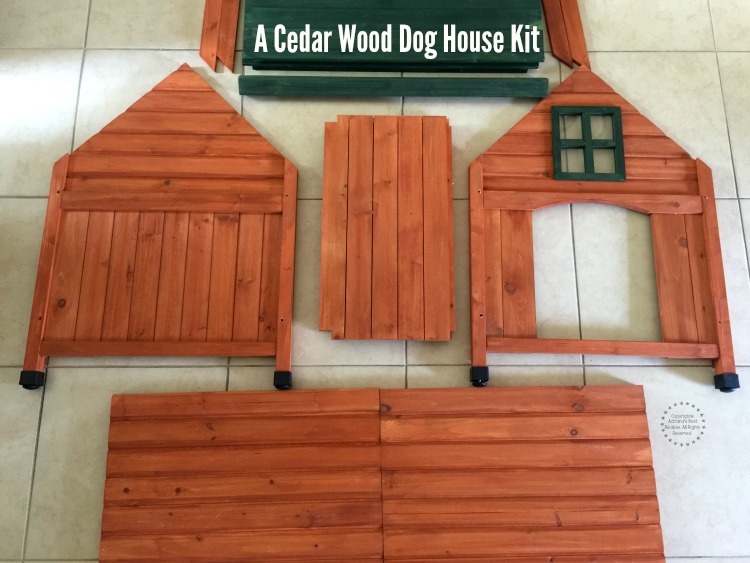 We found at Lowe’s a cedar wood dog house that was easy to assemble and with the perfect colors that match our style. But since this dog house is to be permanently in the outdoors we decided to reinforce it by adding a first class roof. 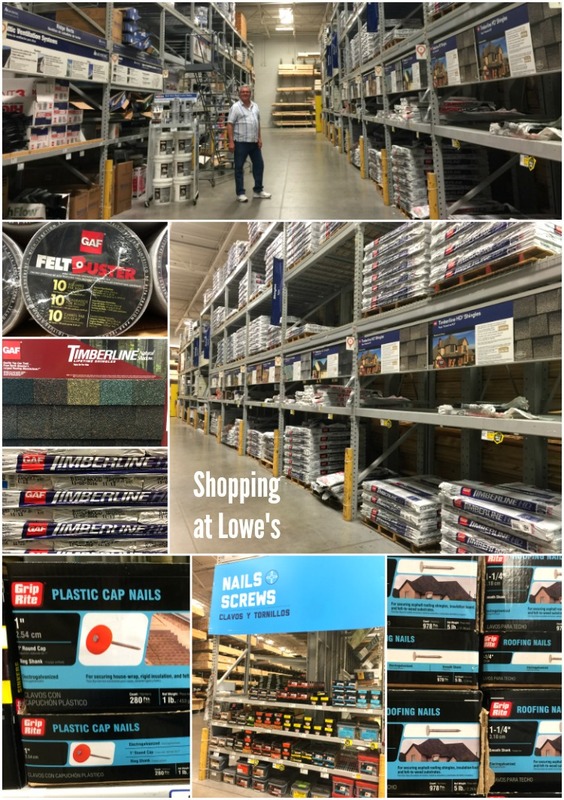 While at Lowe’s we found the same roofing system we have in our own home. 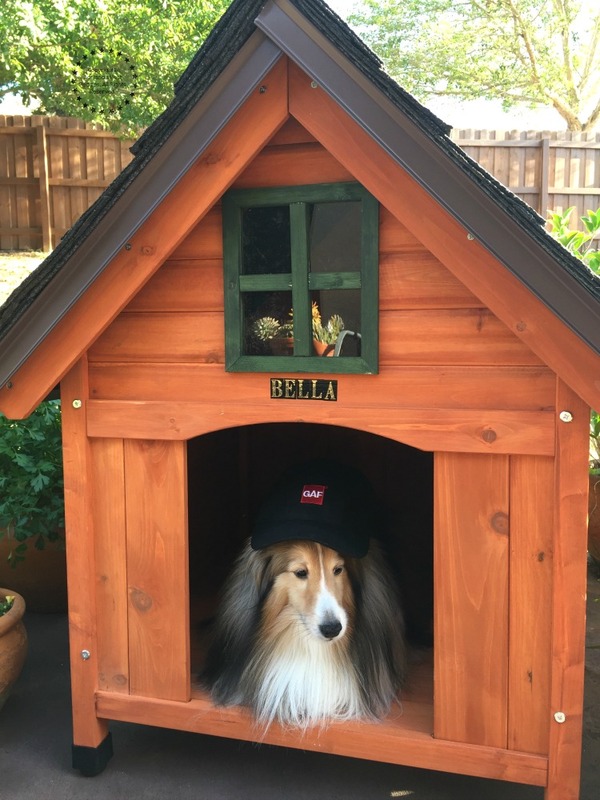 Based on our experience and knowing that GAF manufactures the best shingle in America using proprietary granular technology, we decided we wanted this same product to be used for Bella’s own home. And you might ask why we went above and beyond building this dog house project. 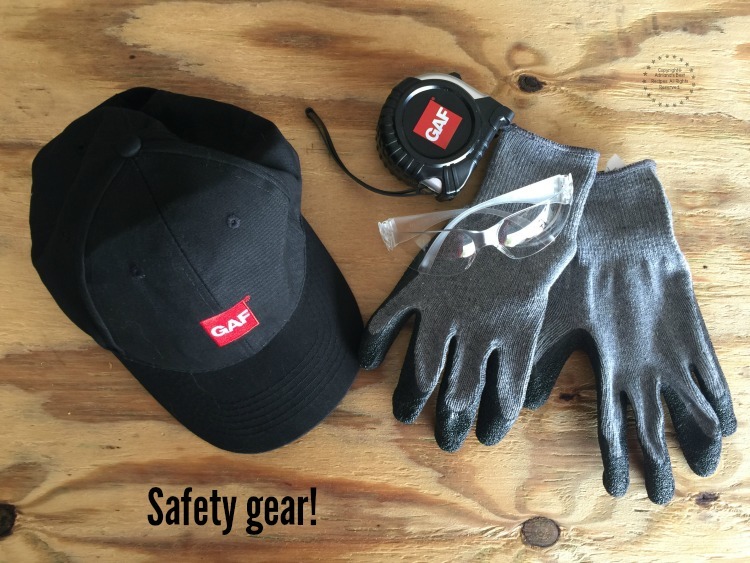 We like to do things right and using guaranteed quality products. Mimicking the roof quality we have at our own home we built a resistant roof for Bella’s dog house using only the best materials. 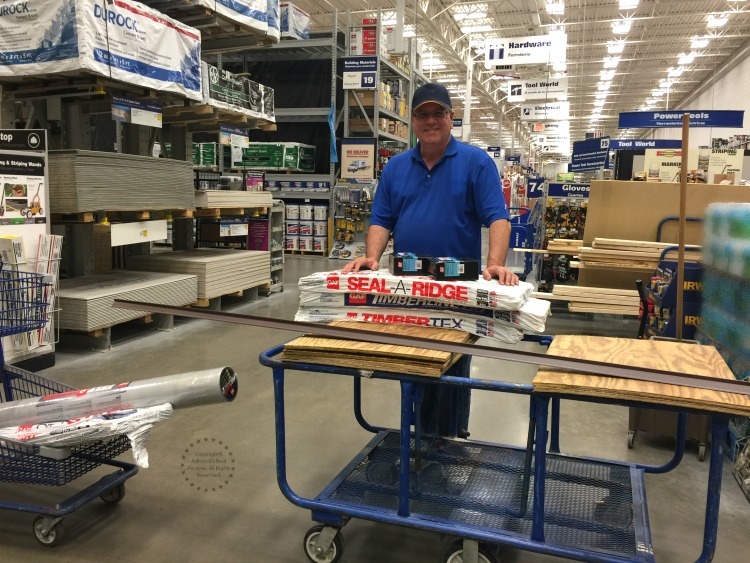 The GAF products are located at the roofing aisle at the far end of the store near the Contractor/Pro Services center. There you will find a wide variety of options including samples. That way you can choose the best color and feel the quality of the GAF shingles. 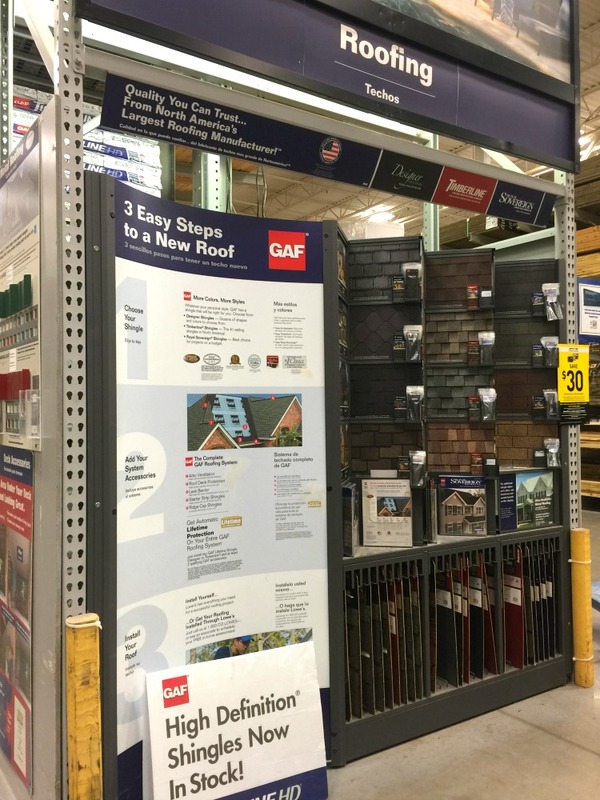 At my local Lowe’s store they also have a GAF display with brochures and ideas on roofing. If this is your first roofing project or you are shopping for a new roof this is a great resource for information. When we were shopping for a new roof we did a lot of research to get the best for our money without compromising in durability and quality. 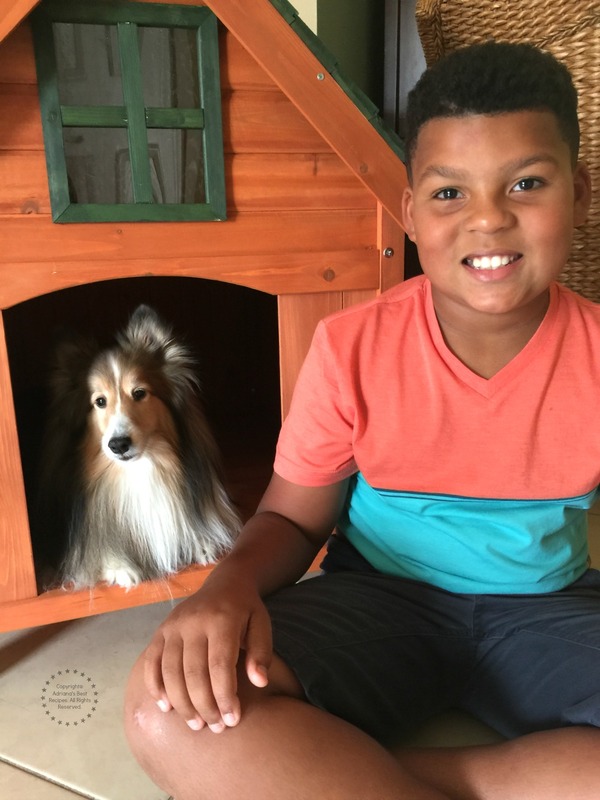 Watch the video to see how we built the best dog house. 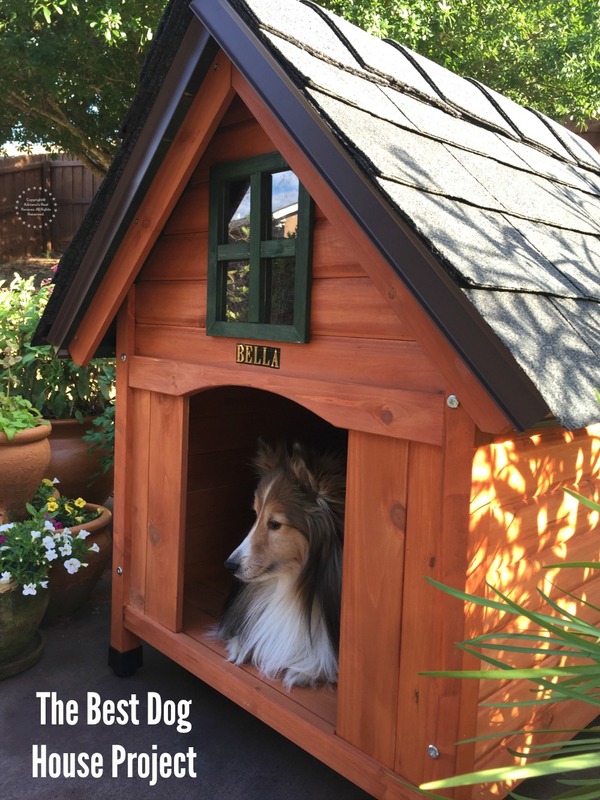 Now that you have the scoop on how we built the best dog house I hope we have inspired you to do the same or try other DIY projects. Such as a chicken coop, or a playhouse for your kids. Or a nice gazebo that will beautify your backyard. All of this are amazing projects that will benefit if using GAF products. Learn more about GAF here or join the conversation with the GAF experts on Facebook. When we changed our roof few months ago we had the experience of finding a reputable contractor that recommended GAF Timberline® HD shingles. When you install any GAF Lifetime Shingle and at least 3 qualifying GAF accessories, you’ll automatically get a Lifetime ltd. warranty on your shingles and all qualifying GAF accessories*. And a non-prorated coverage for the first 10 years*. Our roof looks beautiful and we know will last for a long time because these shingles are high quality and durable. When you are investing in home renovations you have to use only the best. And that is what we did. Now tell us, what kind of project would you use GAF Roofing on? *See GAF Shingle & Accessory Ltd. Warranty for complete coverage and restrictions. If I was a dog I’d never want to leave! I bet the cedar smells amazing too! Wow, great work! The GAF shingles were a good choice. This dog house is going to hold up really well! This is so stinkin’ cute! I want a doghouse of my own. I imagine when we get a puppy, ours will be an indoor dog, but who’s to say we can’t have a doghouse indoors?! We worked hard but it was worth it Bella loves her new home. I honestly wanted this house indoors too smells so good! Bella is so precious. I’m sure she feels like a princess in her new beautiful dog house! I would love to get some for my dogs. I have a feeling my husband will be the type to build a relaly cool dog house. He loves projects. Love how this turnd out! Looks like a great dog house for your four legged family member. I absolutely love how cedar smells and it will be great for the elements as well as keeping pests away. Last summer we built Odin (our husky) a dog house but we didn’t use cedar. It turned out really nice. I bet your dog will enjoy it! She is really loving it. We used cedar because we love the smell. Also helps keep away the insects. I am glad you built your own dog house too I bet is really pretty. Oh my! That is the best dog house! So stinking cute. And your pup???!!! AWWWW!!! I’d never get anything done. This dog house is amazing. My dog would look great in a big house like this one. Your dog is the luckiest dog on the block. I love that you made her a house made out of love! 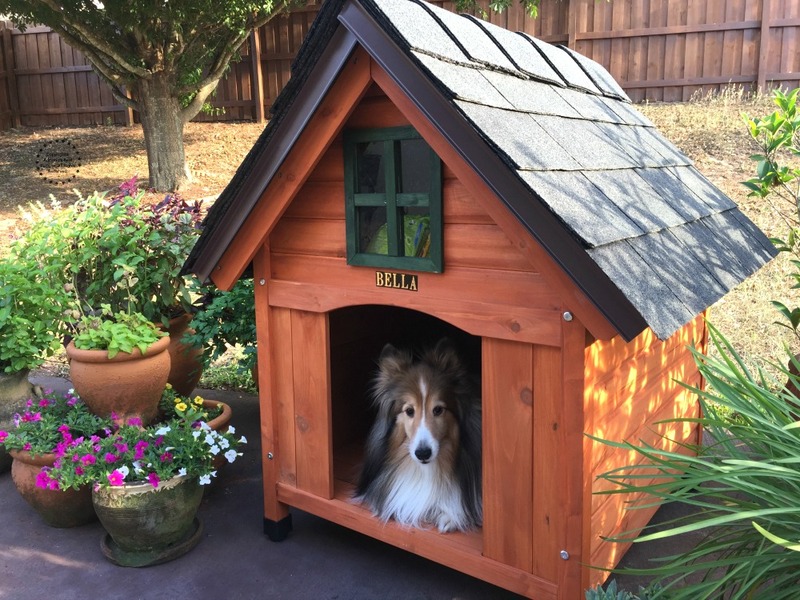 Oh my this little dog house is gorgeous! And your puppy is just oh so cute! I wish we had a dog!! Looks like a fun project for kids to be a part of. I am no means a DIYer. But if it comes in a kit, now I can do that! I had no idea they had dog house kits! When I get my doggie next year, I will DEF be looking for this one! This is so fantastic and inspiring! My little puppy would never leave her castle if she had one like this! You got skills! This is SO cute! My pup would love it – it might have to be a new project for me! The dog house looks great! Our dog is an indoor princess.